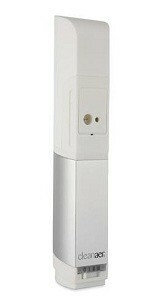 Improve air quality, eliminate odours and reduce illness. 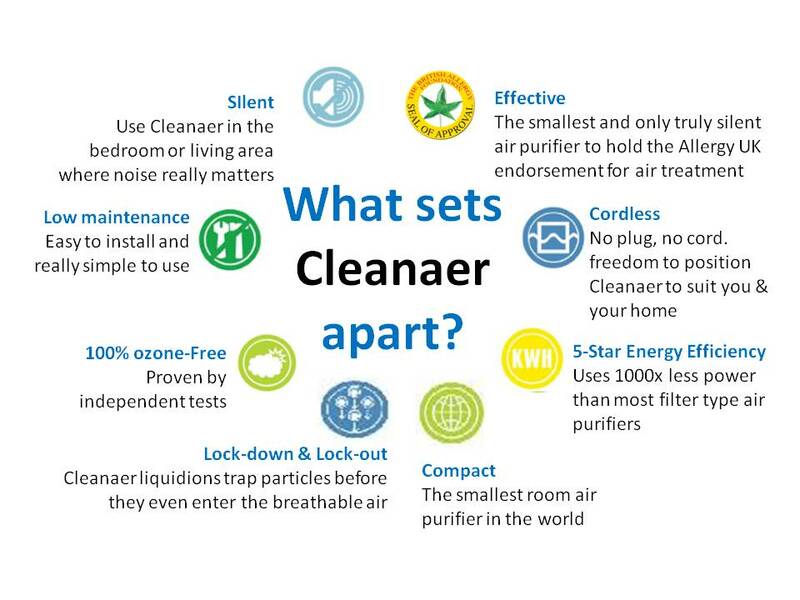 Cleanaer is an air purification system with multiple applications. Using electrostatics, it is a long-term solution to odour removal and air freshening, improving the quality of the air for your environment. The system works by releasing Liquid-Ions into the air. These microparticles float on the air currents and attract airborne particulates, removing them. The system has been thoroughly tested and been proven to eliminate both smoke and kitchen malodours and reduce bathroom and pet malodours, as well as harmful allergens. Cleanaer products work 24 hours a day, 7 days a week. They are battery operated, negating the need for them to be plugged in, this combined with their small compact size (21x4x4cm in size), makes them suitable to be placed wherever you want them. On top of this, they are also completely silent, making them suitable for a wide range of environments. Whilst some products claim to reduce allergens in the air, at the same time, they also produce harmful substances. Cleanaer, however, does not release ozone or use propellants or aerosols. Cleanaer reduces unpleasant odours and smells, but also reduces allergens which can drastically help those who suffer from allergies and afflictions such a hay fever. Germs and other airborne particulates are present in the workplace, which can in turn cause people to fall ill from airborne viruses. By using Clenaer, you can reduce employee absence and help raise their productivity. Poor air quality can also contribute to Sick Building Syndrome, causing lethargy, headache, dizziness as well as irritability and forgetfulness.